Embrace living green at Valley Ranch! Preservation and enhancement of the environment are the cornerstones of development in our community. With over 135 acres planned for parks and nature preserves, your family can enjoy Valley Ranch’s pristine, natural setting for a lifetime. Town Grove is a 135-acre community park which includes 85 acres of dedicated wildlife and nature preserve. Town Grove is situated adjacent to Valley Ranch Town Center, offering residents and visitors a scenic overlook near shops, restaurants and entertainment. Within Town Grove there are a chain of scenic lakes, the largest of which is 15 acres. The lakes are surrounded by lush landscaping and a manicured lawn, ideal for special community events. Just a quick walk or bike ride from the lake, along the banks of White Oak Creek, you will find a network of trails winding through undisturbed natural landscapes abundant with wildlife. 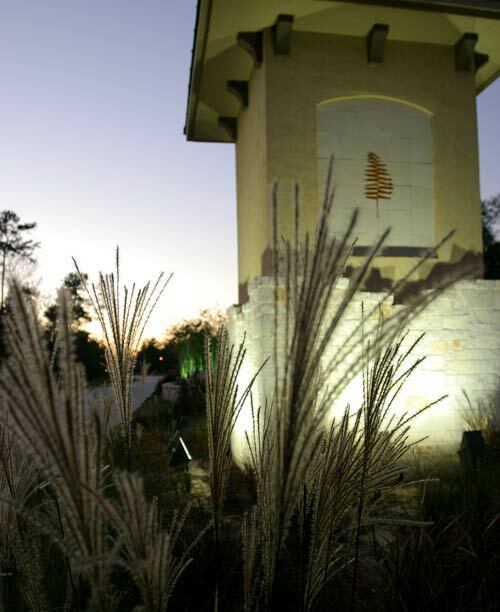 Town Grove and the entire Valley Ranch Park District serves as a natural corridor between public space and private living while creating a destination that residents and visitors will enjoy for generations to come!